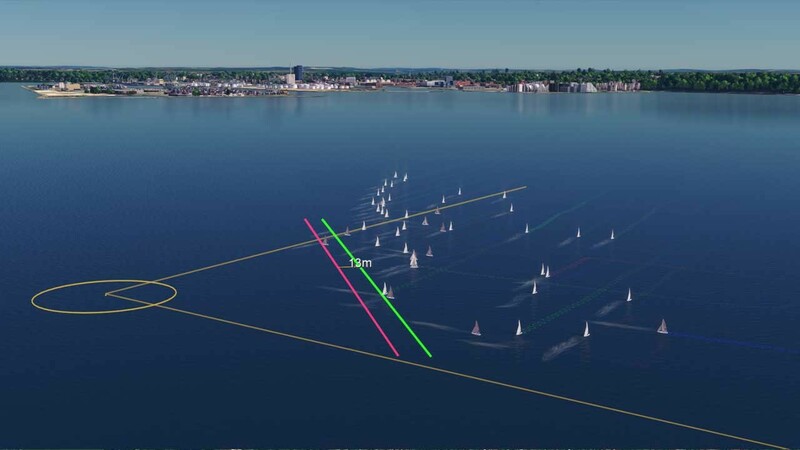 Valencia Sailing Week was the final regatta for the 2018 52 Super Series, with Quantum Racing winning the overall Championship (Luna Rossa won the regatta). 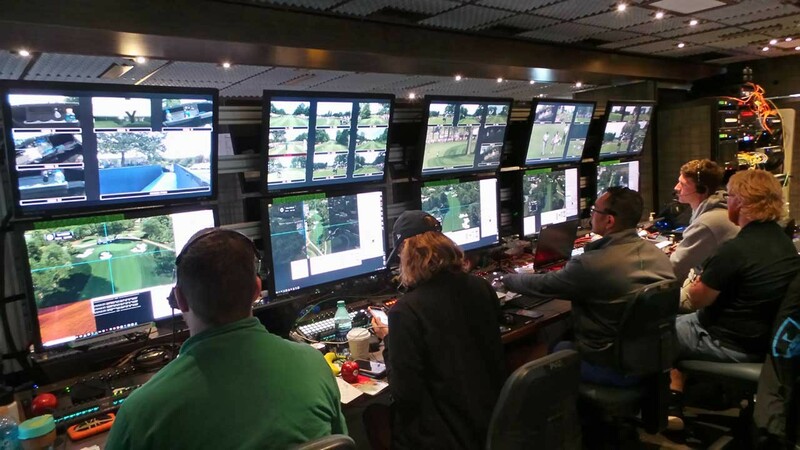 Virtual Eye provided tracking and graphics via broadcast, browser and mobile for the entirety of the series, as we have done since the first 52 Super Series in 2012. 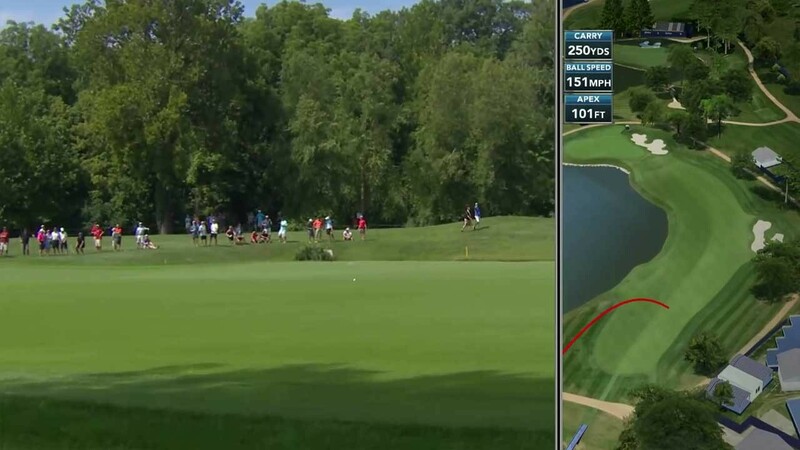 When the month began the Made In Denmark tournament was in full swing - Virtual Eye was there also, providing ball-tracking and course flyovers for all of the 2018 European Tour. 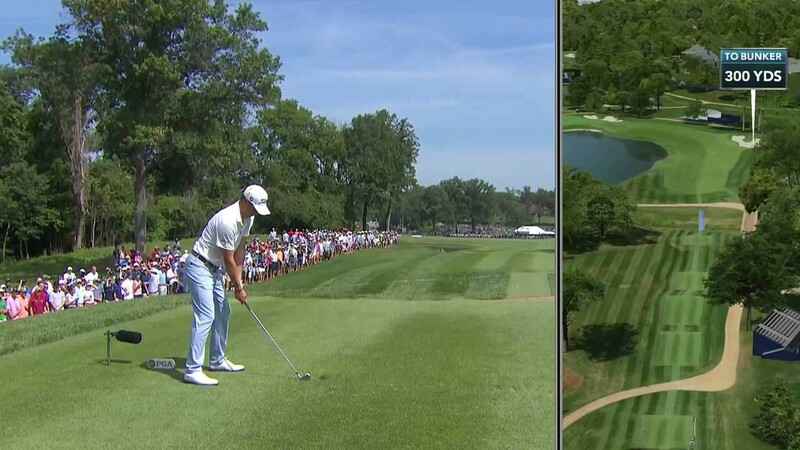 Next up was the Omega European Masters at Crans-Sur-Sierre GC in Switzerland, followed by the KLM Open at The Dutch and the Portugal Masters in Vilamoura, before rounding out the Golfing month covering the 2018 Ryder Cup in Paris. 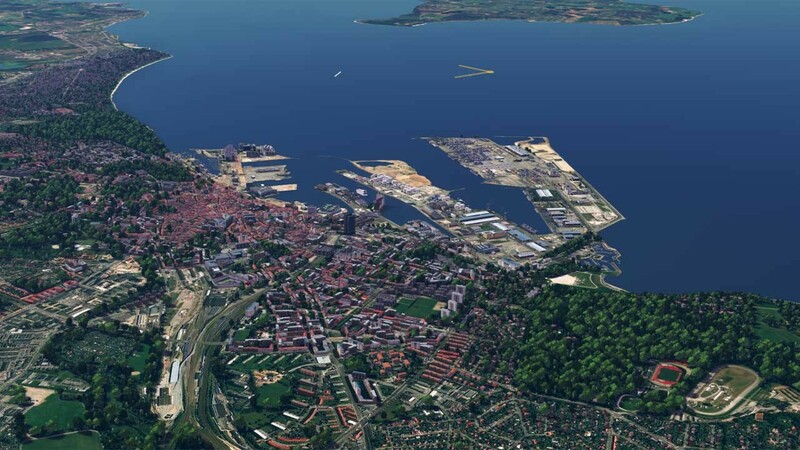 The Sailing World Championships began the month, with Virtual Eye Sailing supplying our tracking and graphics across the 14 days of competition between 10 Olympic sailing classes - 1100 vessels raced on Aarhus Bay, Denmark during the event. 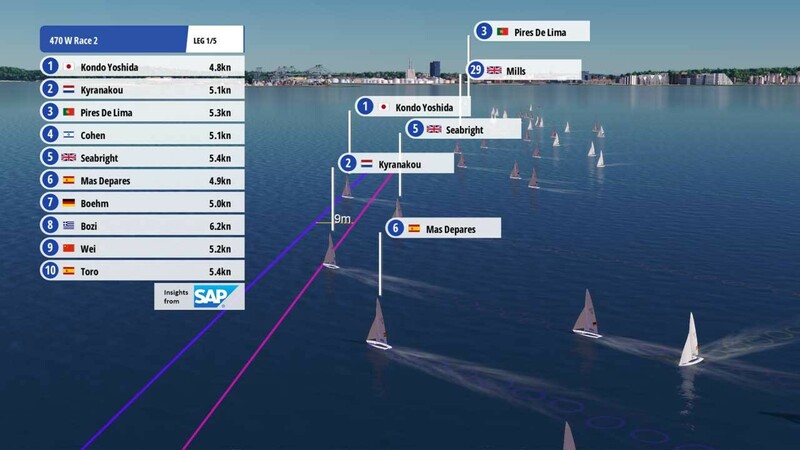 Other Sailing series we continued to supply graphics to during August were the 2018 Extreme Sailing Series event in Cardiff, and the Puerto Portals 52 Super Series Sailing Week in Spain. 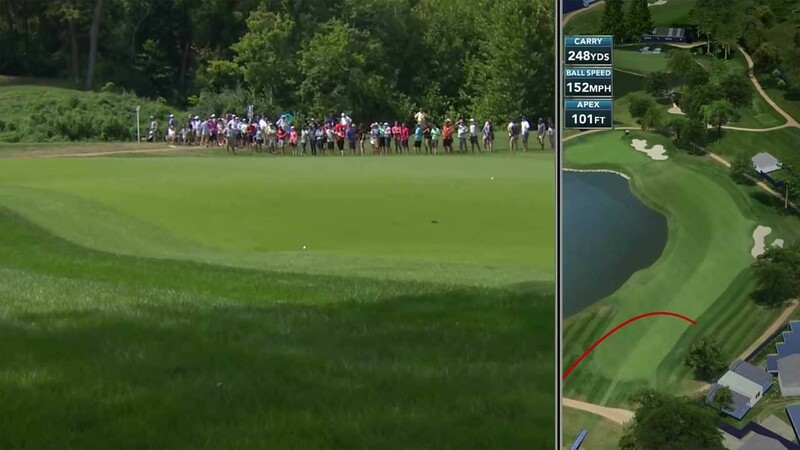 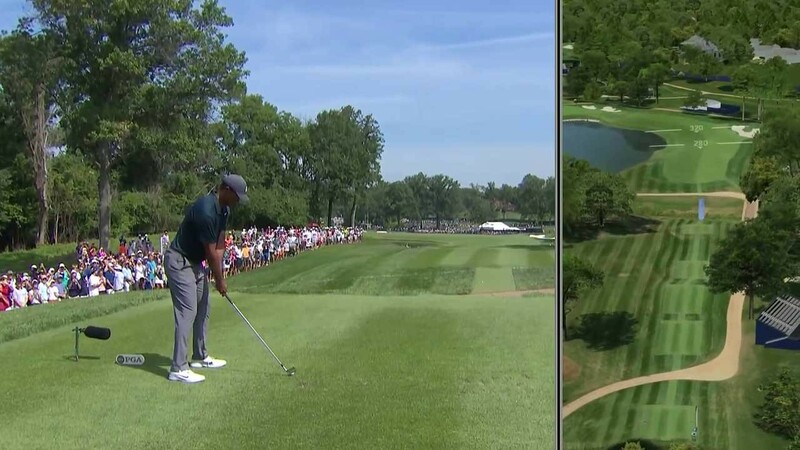 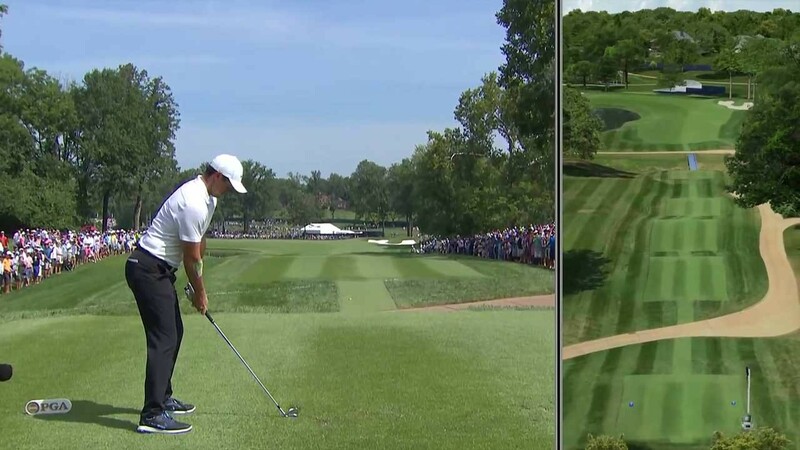 ... during the 100th US PGA Championship at Bellerive, as golfers hit their tee shots on one side of the tv screen, Toptracer data and our Virtual 3D course appeared on the other side, giving viewers a highly accurate real-time view of where a drive is headed along the fairway. 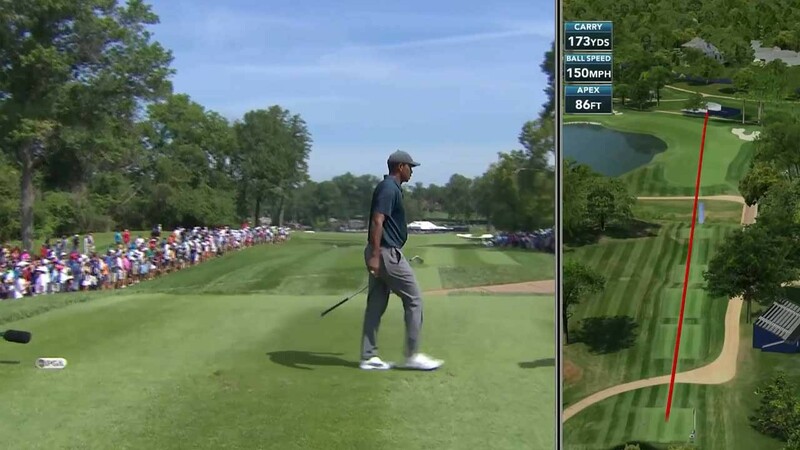 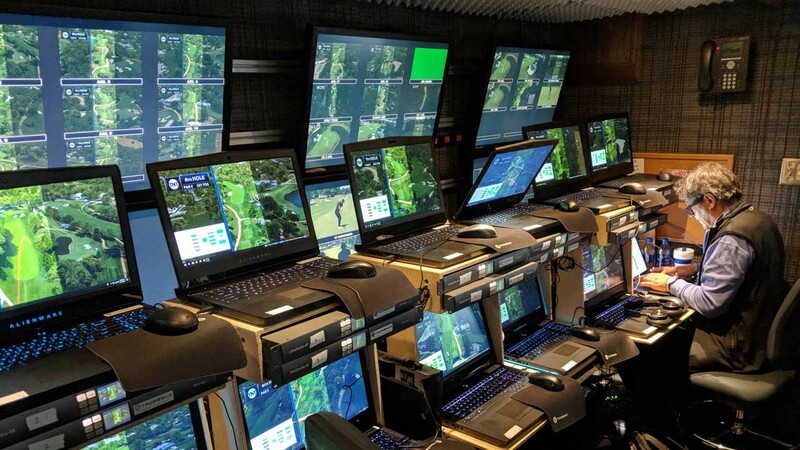 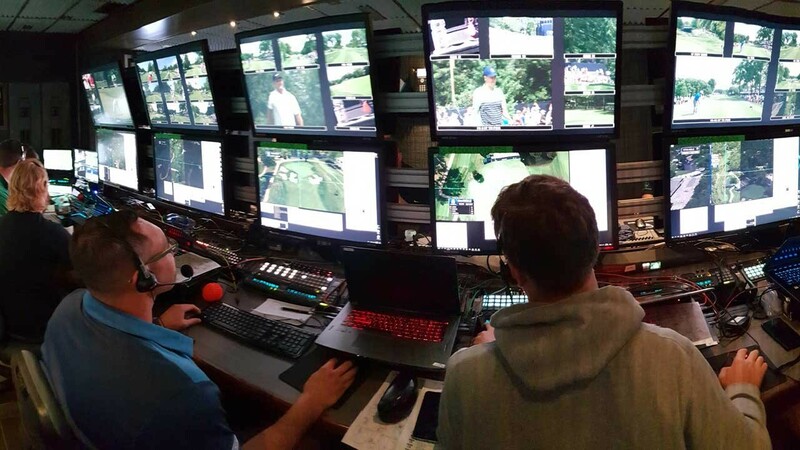 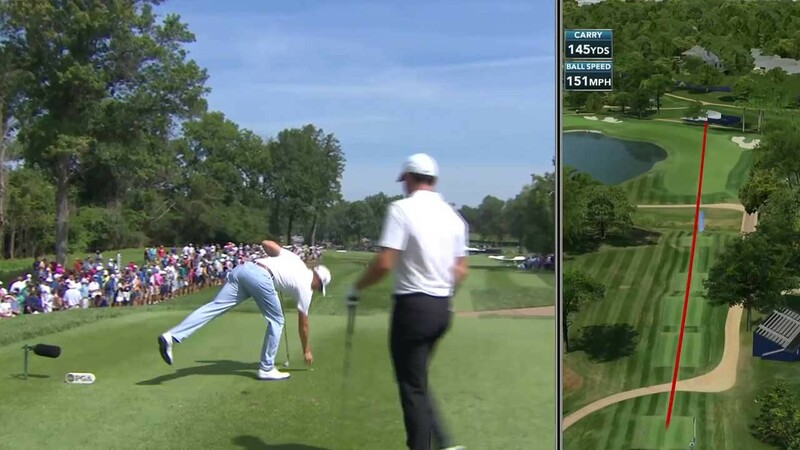 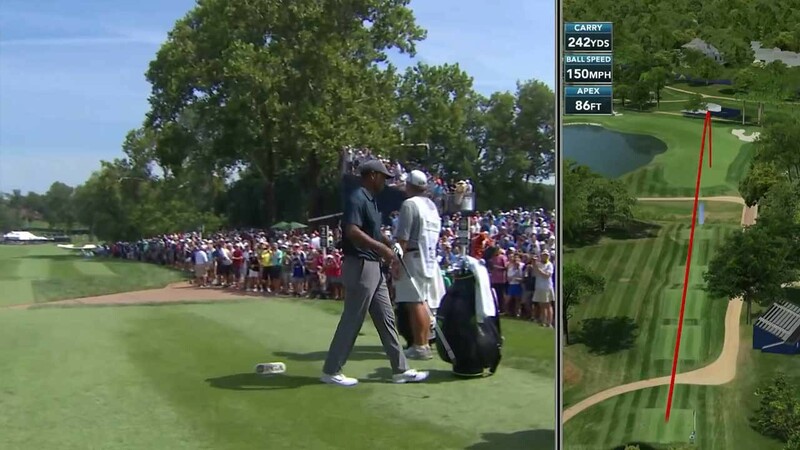 Virtual Eye returned to the US PGA Championship this year with increased coverage of more holes, providing our services both live and in playback. 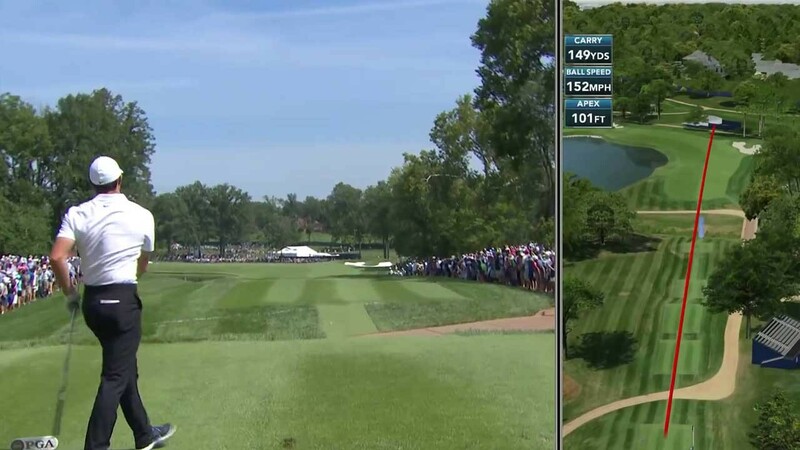 Our flyover animations also returned, giving a second shot perspective once the ball comes to rest, with GolfTrax providing key statistical information for both individual players and holes.